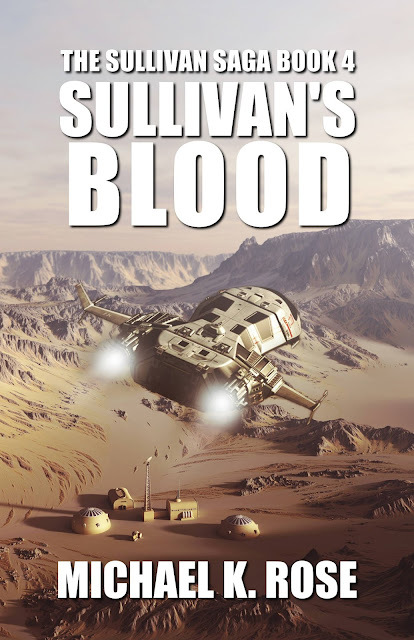 MYRIAD SPHERES: New Release: Sullivan's Blood, Book 4 of The Sullivan Saga! New Release: Sullivan's Blood, Book 4 of The Sullivan Saga! Hello, all! I am very pleased to announce that after more than two years, Rick Sullivan is back! Sullivan's Blood is the first of three new Sullivan Saga novels I'll be writing this year. You can subscribe to my mailing list to make sure you don't miss any new release announcements. Click here to subscribe. Sullivan's Blood is available for purchase from Amazon, and Kindle Unlimited members can read it for free! Check it out at the links below!